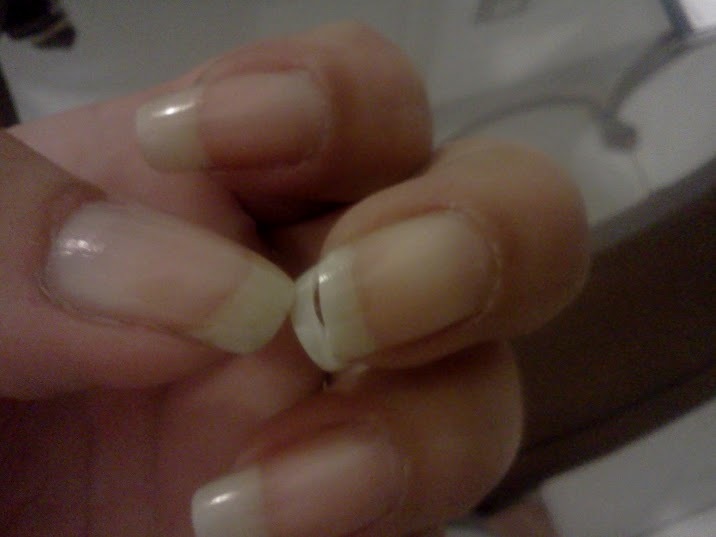 I broke my nails again, so I cut them all the way down now. Time to start all over! Oh well. I usually do this anyway every once in a while and my nails get stronger each time. and I went and bought a bunch of new nail polishes that I will have to use on my stubbies! LOL!!! Here's the break! ACK! Used my camera phone for this picture...sorry for the darkness. but it does get heartbreaking when they were getting so nice and long. 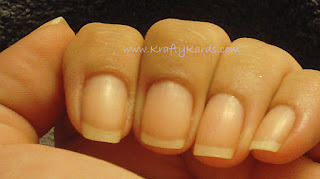 Oh well...they will be back to being long before I know it. 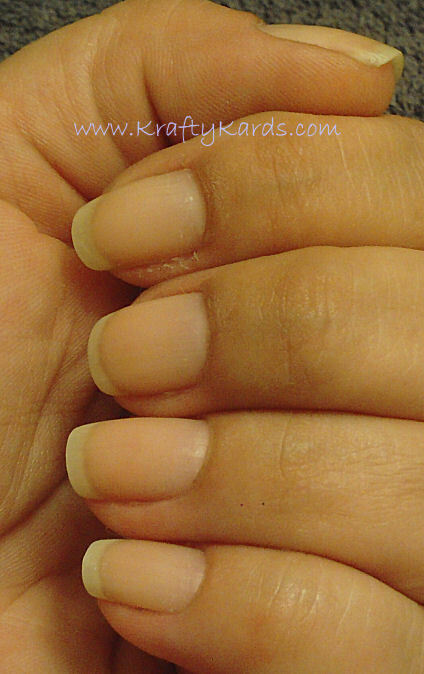 Your nails look super healthy! How do you take care of them?